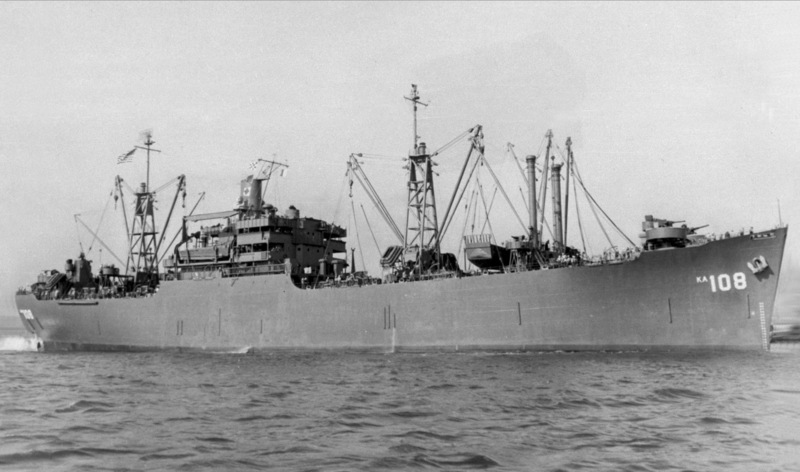 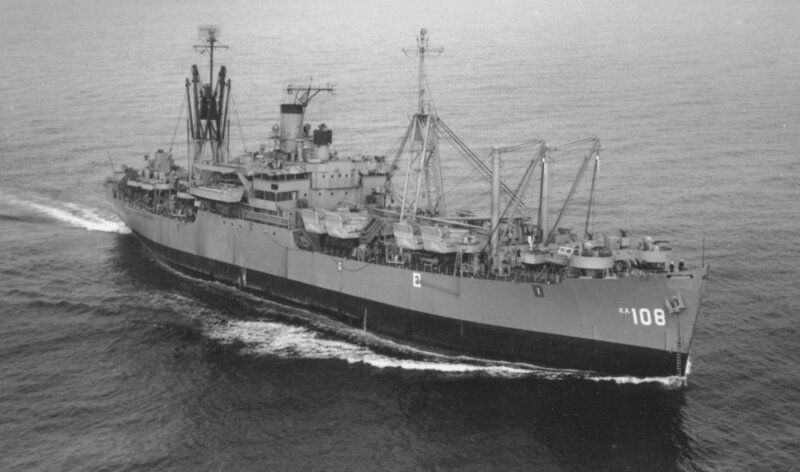 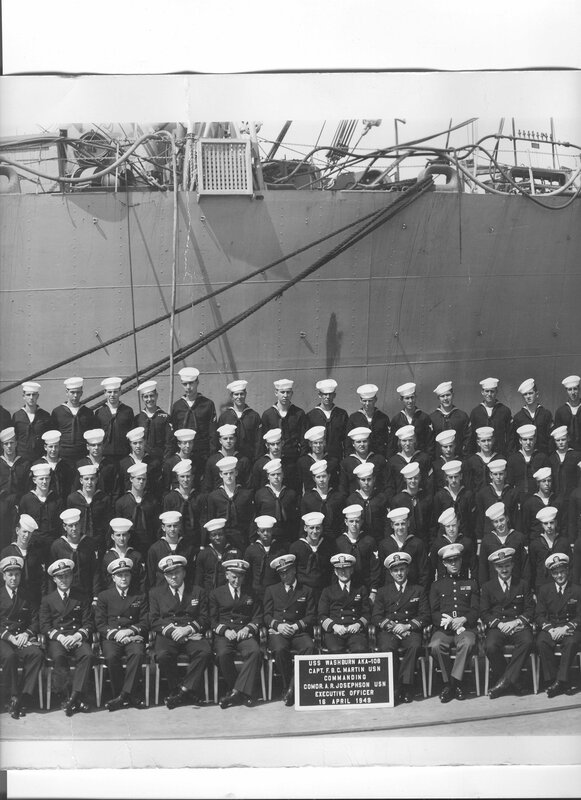 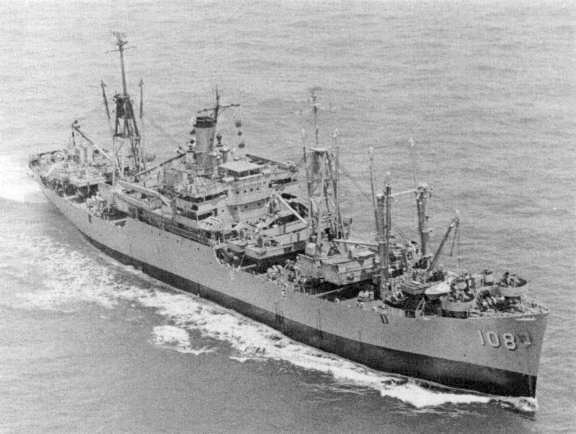 Laid down, 24 October 1944, as a Maritime Commission type (C2-S-AJ3) hull, under Maritime Commission contract (MC hull 1701), at North Carolina Shipbuilding, Wilmington, N.C.
Acquired by the US Navy, 30 December 1944 from the Maritime Commission, and towed or ferried to her conversion yard at Hoboken, N.J.
Decommissioned, 16 May 1970, at San Diego, CA. 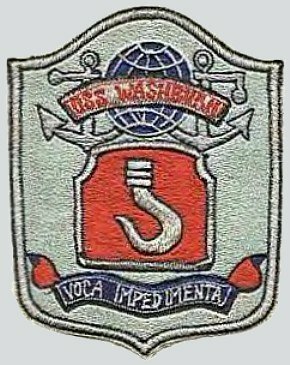 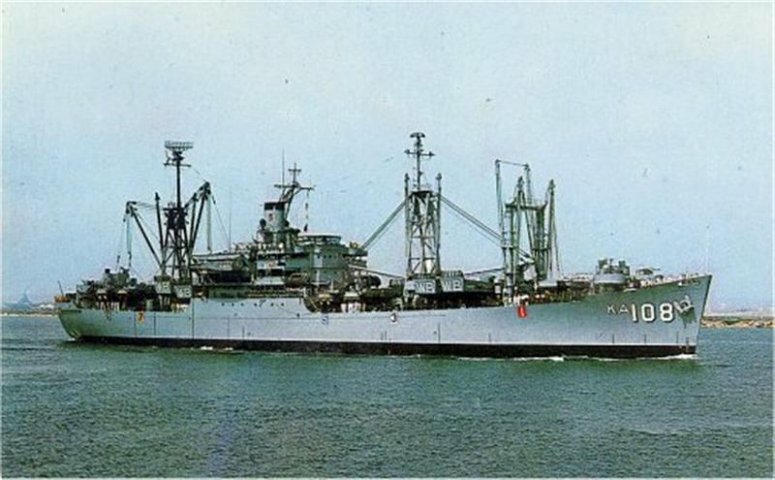 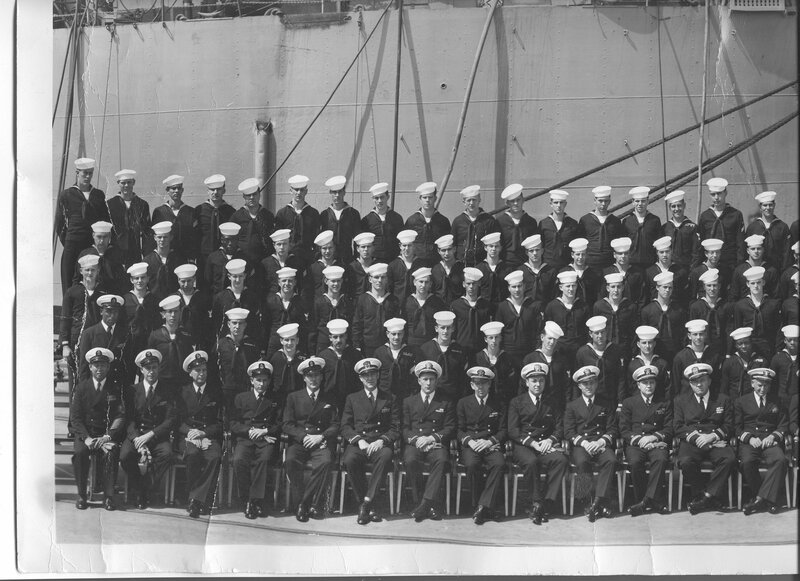 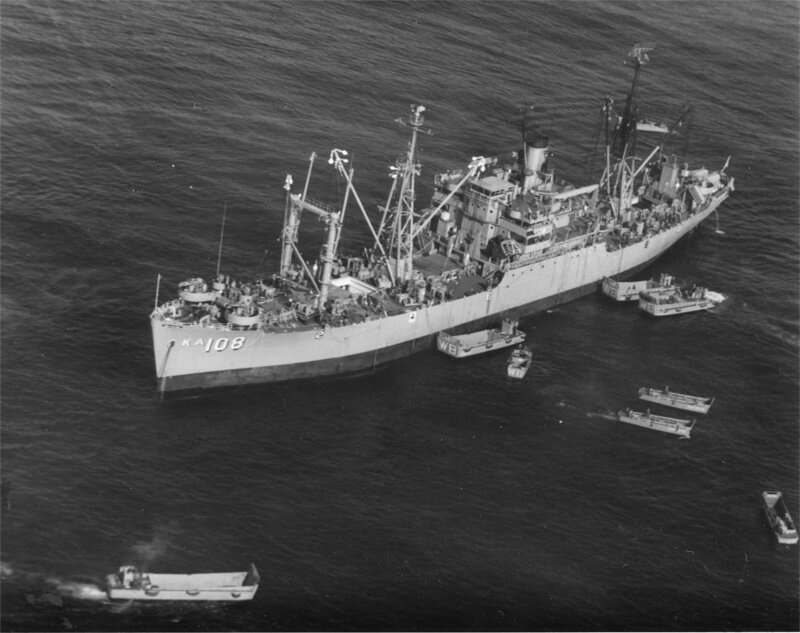 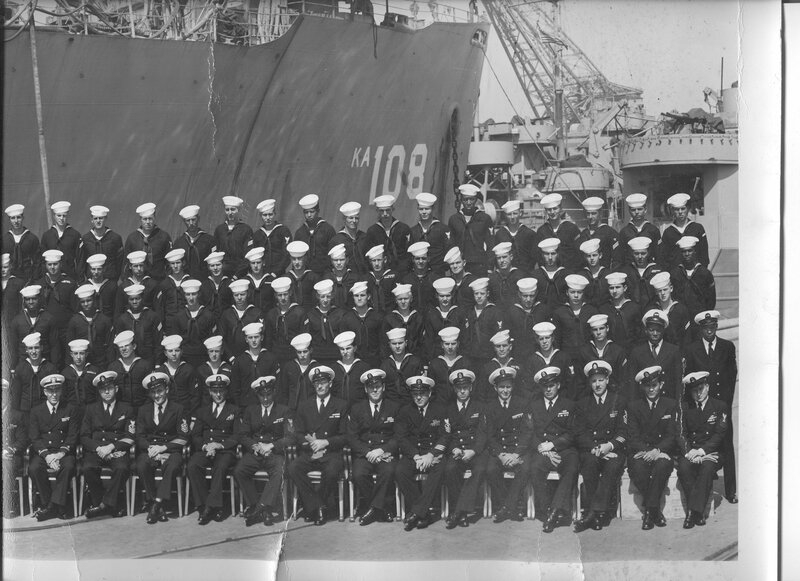 Returned to the Maritime Administration (MARAD), 19 August 1970, for lay up in the National Defense Reserve Fleet, Suisun Bay, Benecia, CA. 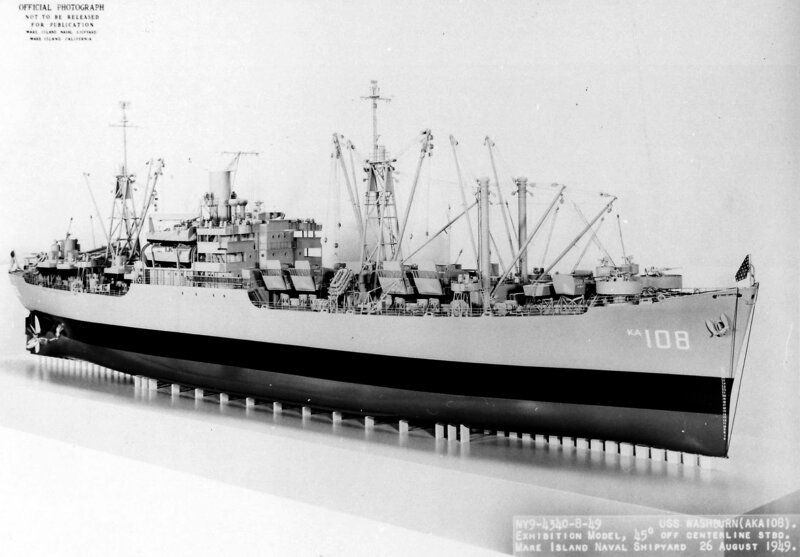 252k Mare Island Naval Shipyard model of USS Washburn (AKA-108) photographed 26 August 1949. 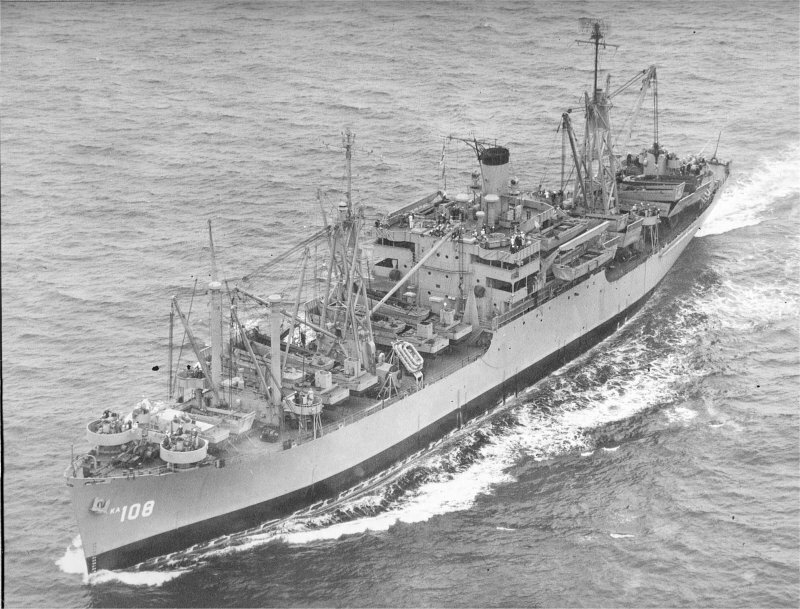 362k USS Washburn (AKA-108) under way, circa 1950, location unknown. 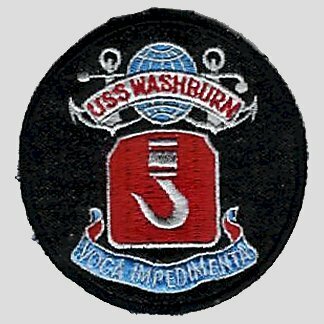 80k USS Washburn (AKA-108) under way, date and location unknown. 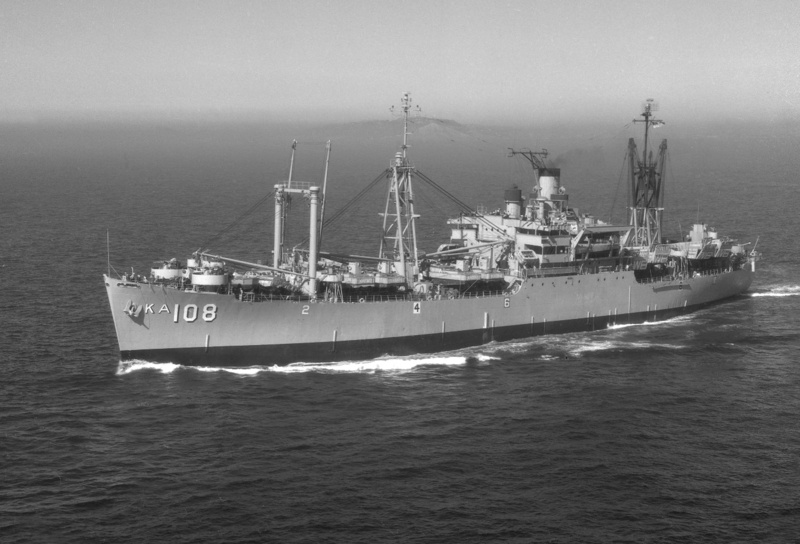 437k USS Washburn (AKA-108) under way, in January 1952, location unknown. 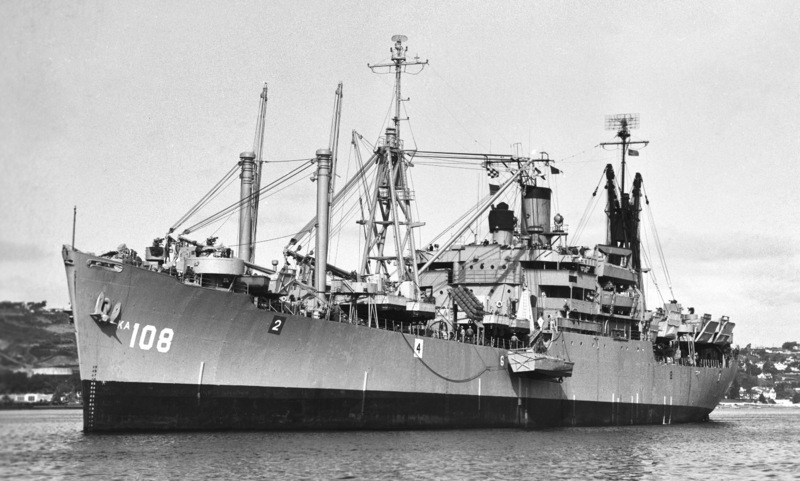 387k USS Washburn (AKA-108) at anchor, date and location unknown. 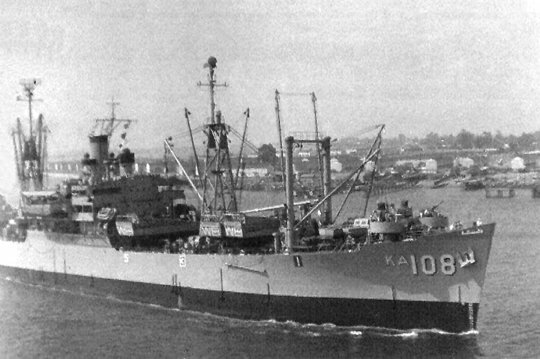 1074k USS Washburn (AKA-108) at anchor, date and location unknown. 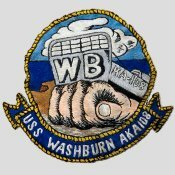 44k USS Washburn (AKA-108) departing San Diego June 1957 for amphibious landing exercises at Camp Pendelton, CA. 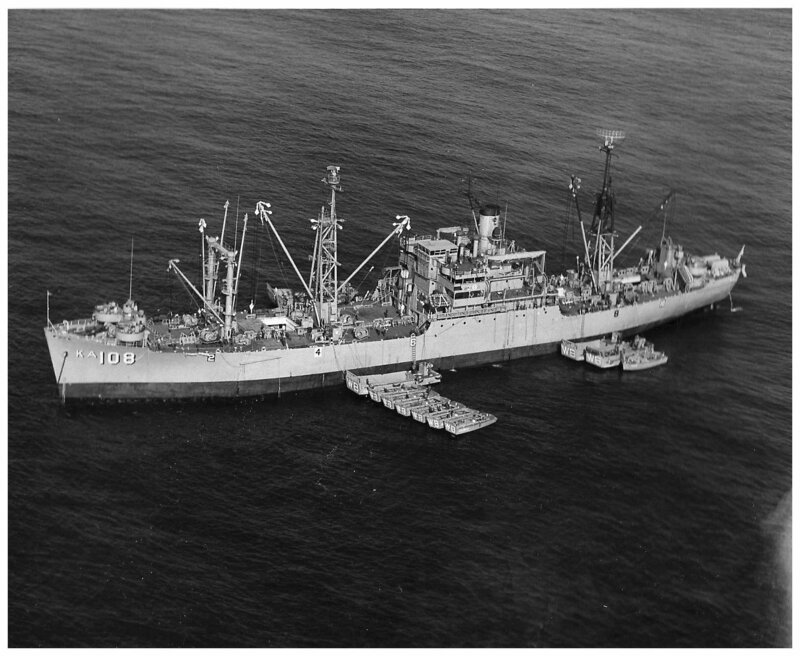 45k USS Washburn (AKA-108) under way in 1968, location unknown. 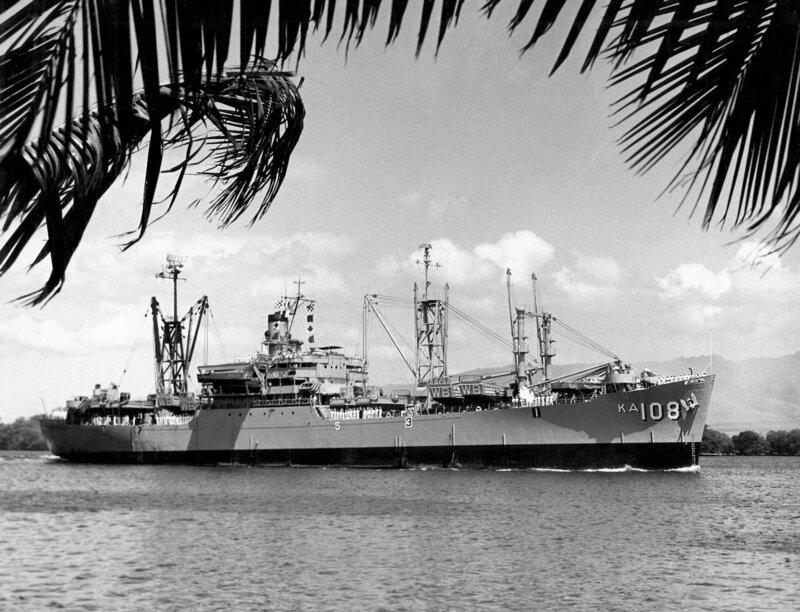 371k USS Washburn (AKA-108) in bound from sea at Pearl Harbor, date unknown. 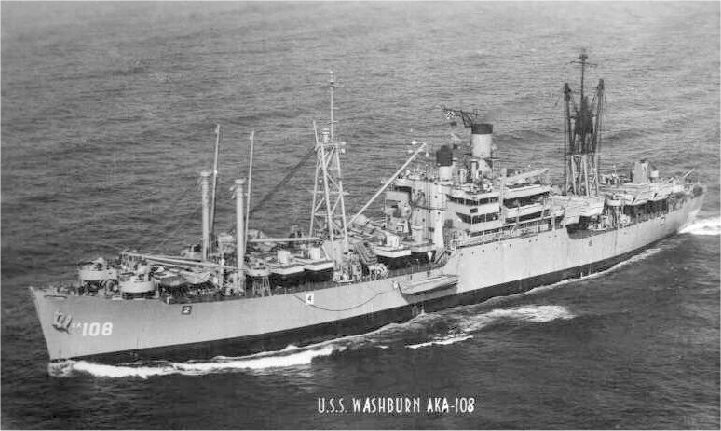 390k USS Washburn (AKA-108) under way, date and location unknown. 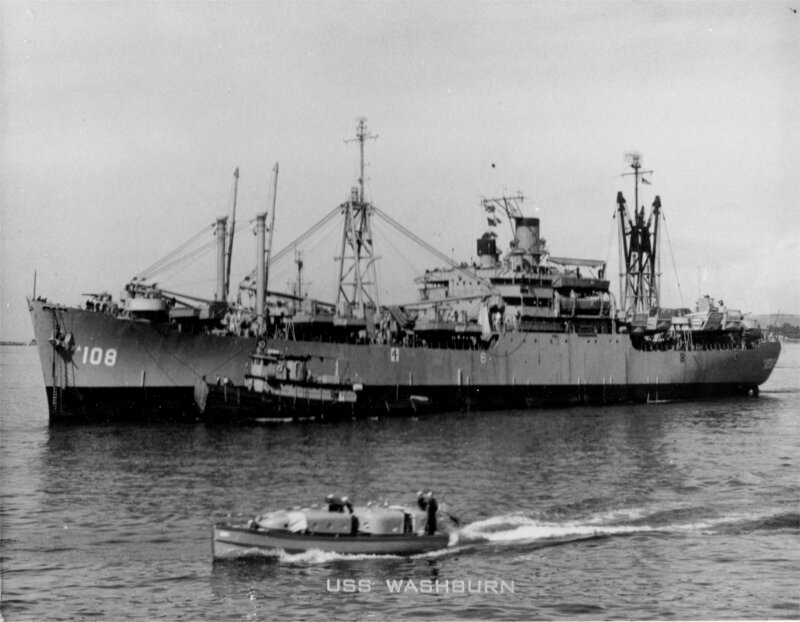 248k USS Washburn (AKA-108) under way in port, date and location unknown.